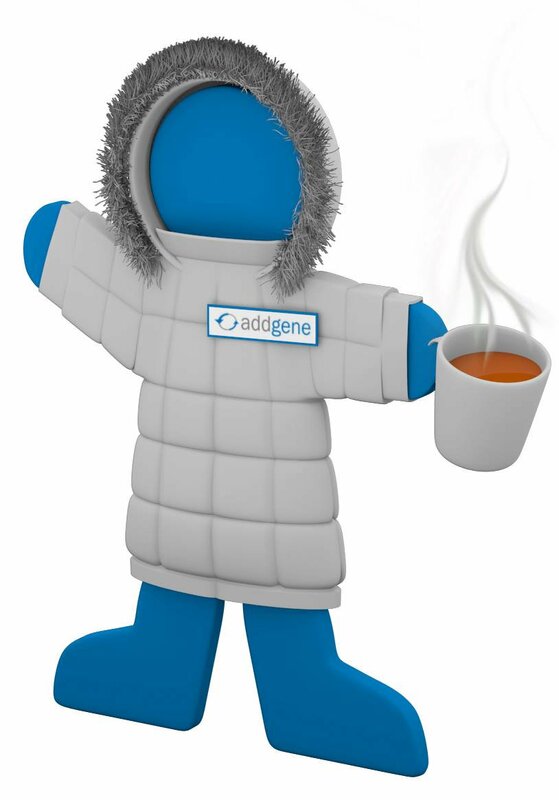 Find all the latest news from Addgene and get $20 off of your next plasmid order. In our first year as a plasmid repository, we had just a handful of deposits and requests. Now, we’ve exceeded a total of one million plasmids shared. While we’re proud to have such a large impact on scientific sharing, we couldn’t have done it without you! In the last few weeks, we've enjoyed seeing the excitement around this milestone on social media. Thank you for depositing your plasmids and promoting reagent sharing. What's next for Addgene? In a month, we'll be moving into a bigger space so that we can make an even bigger impact on reagent sharing. We'll also be publishing our free Science Career Guide. And lastly, we're always looking to expand the repository so that we can reach more scientists: if you are looking for a plasmid that we don't have, fill out our suggest a plasmid form. 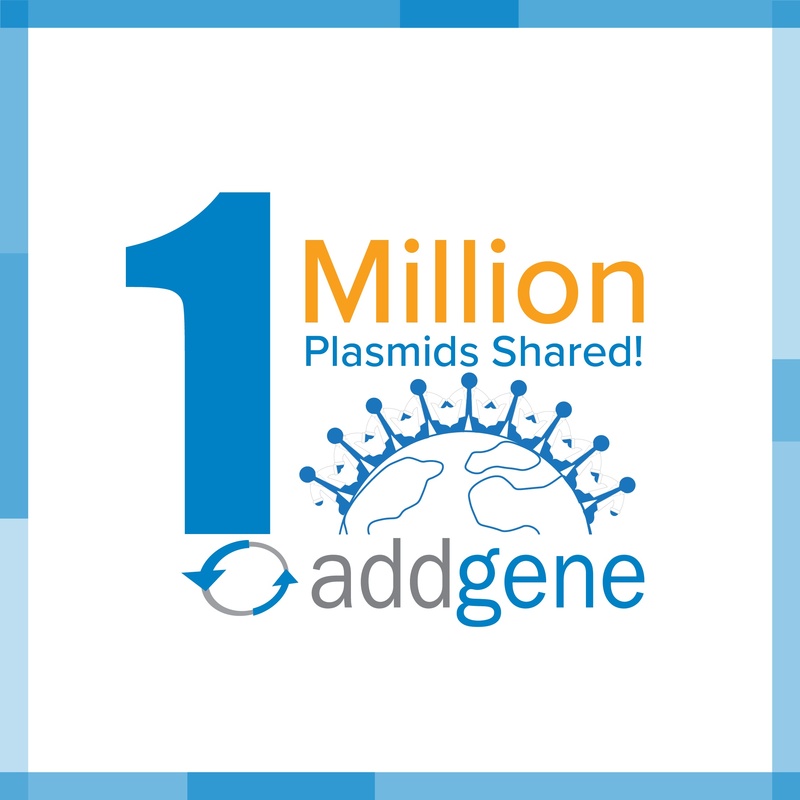 Join us on Twitter and Instagram to celebrate one million plasmids shared. 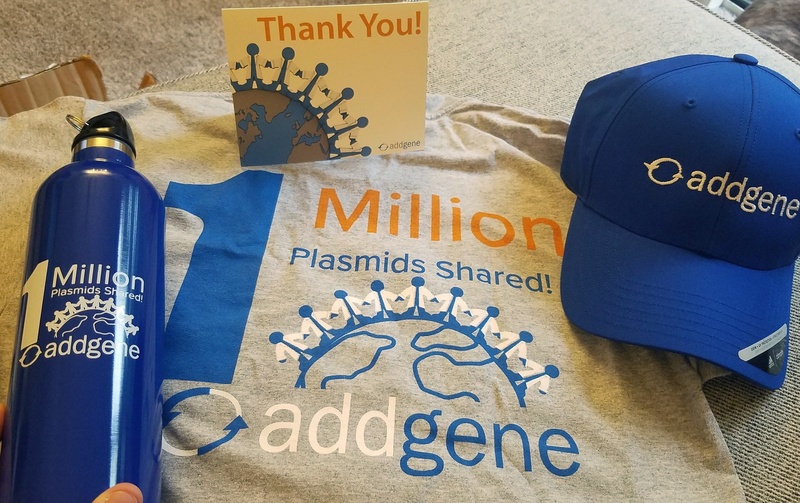 Post a photo of yourself in the lab or with Addgene swag and tag it with #1millionplasmids and @addgene for a chance to win some special edition 1 million plasmids swag! 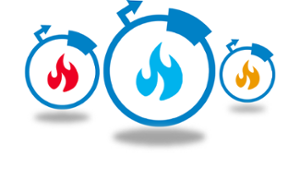 How Long Does It Take to Clone a Plasmid? 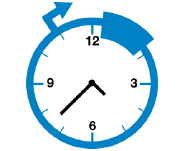 Ever wonder how long it takes to clone a plasmid or how much time Addgene has saved researchers after distributing 1 million plasmids? Click here to read our blog post or watch this video to see what our Addgenies think. We have reduced the pricing of most of our lentiviral preps. The cost for production is down and we’re passing the savings to you! Click here to find lentiviral preps at Addgene. 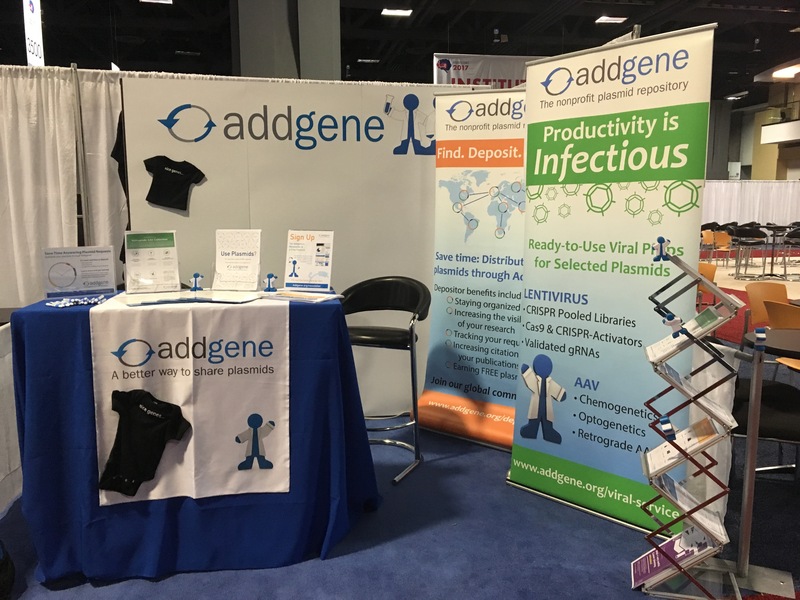 If you're attending the #SfN18 conference, meet some Addgenies at booth #4412! We will be closed Dec 24-25, Dec 31, & Jan 1. Order processing and shipping will be limited in December. More details soon! You received this email because you are subscribed to Addgene Newsletter from Addgene.